The landmark skyscraper 'Taipei 101' has been for a long time the highest building in the world, dominating the skyline of Taipei, the capital of the Republic of China (Taiwan) until it was surpassed in height by the Burj Khalifa in Dubai on October 1, 2009. 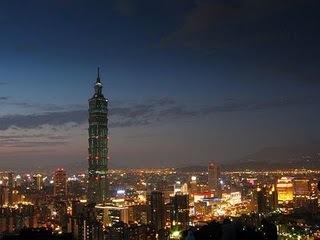 The landmark skyscraper 'Taipei 101' has been for a long time the highest building in the world, dominating the skyline of Taipei, the capital of the Republic of China (Taiwan) until it was surpassed in height by the Burj Khalifa in Dubai on October 1, 2009. May be this surpassing of the '101' is symbolic for the slow down of the economical growth of the island. The global financial crisis is not the only reason for it. In this interview with EBR, the President of TAITRA describes the external trades’ Status Quo, talks about the bilateral economic and legal relations with mainland China and explains how his country deals with critical issues such us labor opportunities, climate change and decreasing birthrate. During our visit to the Republic of China (Taiwan), Prime-Minister Wu Den-yih kindly offered an exclusive interview opportunity to European Business Review. Taiwan (Republic of China) pledged a $5 million donation shortly after its Caribbean ally Haiti was struck by the deadly earthquake January 12. After meeting the Haitian Prime Minister Jean-Max Bellerive, President MaYing-jeou announced that Taiwan will increase its aid donation to $10 million. In an interview with European Business Review, Patrick Wang, information director of the Taiwan Representation to the EU in Brussels, made clear that Taiwan (Republic of China) seeks engagement in corporate carbon credit trade via the Clean Development Mechanism.